Chapel Hill may be the oldest public university in America (it was chartered in 1789), but that doesn’t stop it from keeping up with the times. It’s well known that UNC is a strong, competitive research institution that provides its students with a well-rounded liberal arts education. So, you can imagine how excited we were to accept a Tar Heel as a summer 2017 fellow! Keep reading to find out more about his summer fellowship. 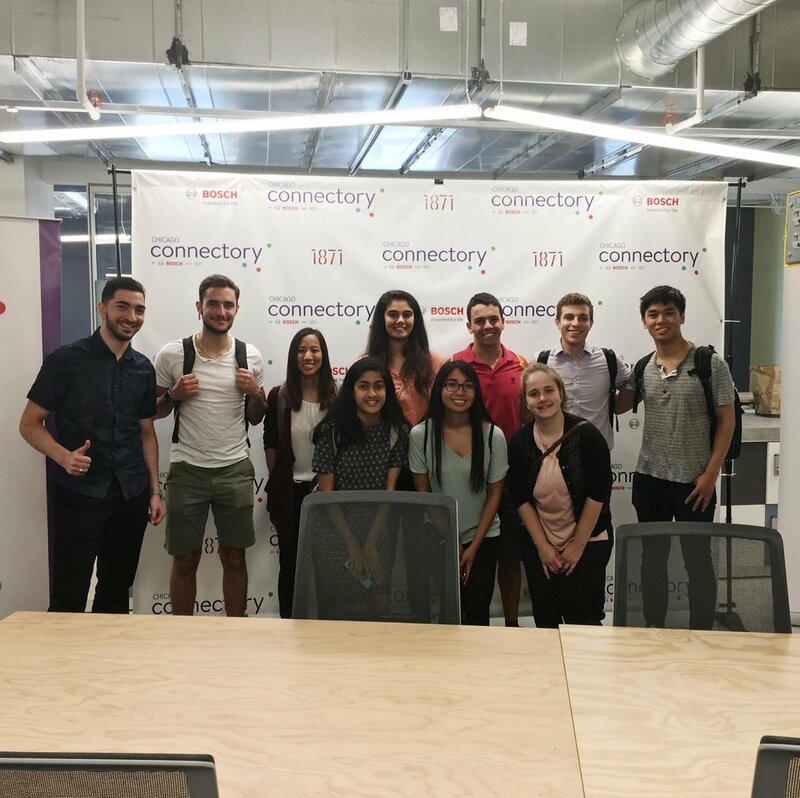 Saif spent his summer in Chicago as an intern for Booksy, a free appointment scheduling application for users looking to find beauty and health services. At Booksy, Saif was primarily responsible for managing the company’s brand ambassador program and using analytics platforms like Google Analytics to optimize sales and pricing strategies. Saif is a rising senior at UNC majoring in Business and minoring in Psychology. Saif and some of his fellow Chicago cohort at 1871 Chicago, a co-working space hosting major startup incubators and accelerators. "I joined the entrepreneurship club at UNC, and after listening to entrepreneurs and professionals who have done great things by starting their own companies (especially ones built around solving social issues), I decided that I wanted to know what it would be like to work at a young, dynamic startup that was helping solve a significant problem. I also knew that previous Sage Corps fellows had a great time interning in their respective cities and attested to the quality of their internship experiences." "Sage Corps promised me an intensive internship mixed with weekly events that would help hone my professional skills. I am happy to say that I got both of those things and I definitely have had a number of projects that I can talk about during interviews for graduate school or first-year positions. I can also say that I had a ton of responsibility working at a startup, an environment much different than that of a traditional internship. That is undoubtedly something I can capitalize on in my career going forward." "I think the biggest challenge for me this summer was learning to take risks (as cheeeesy as that sounds). I consider myself to be a very ‘safe’ person (no pun intended) and I’m usually drawn to tasks that are familiar to me or that I’ve done before. 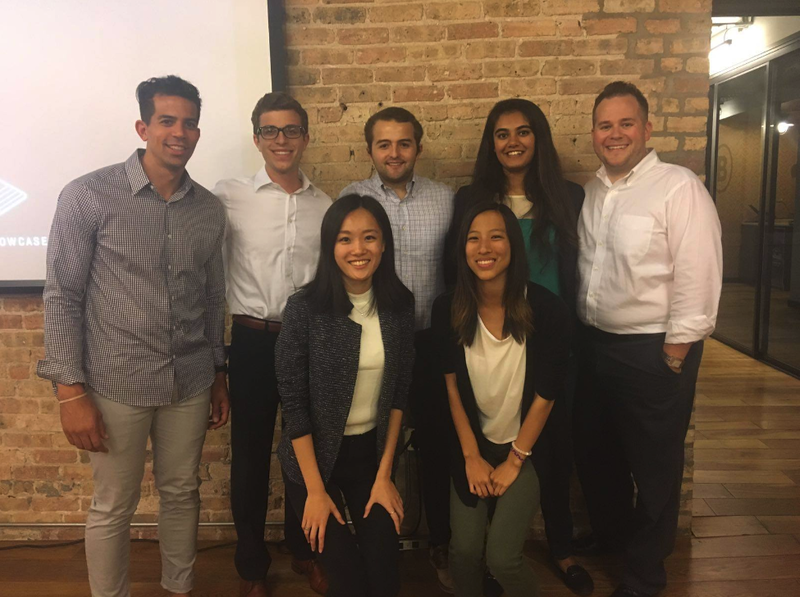 This summer, I decided that I wanted to challenge myself to step out of my comfort zone and I think I’ve accomplished that— not only in the tasks I’ve been doing at work— but also by reaching out to professionals in the Chicago area and developing new connections." "The most valuable lesson I’ve learned is the importance of listening actively and gleaning knowledge from people who have more experience than you." Saif is considering several paths post-graduation, including pursuing a Master’s degree, moving back to the Middle East, or pursuing marketing or data science opportunities in the States. We’re so proud of Saif and all of the amazing work he accomplished this summer. We’re excited to see what the future holds for this Sage Corps Alumnus!